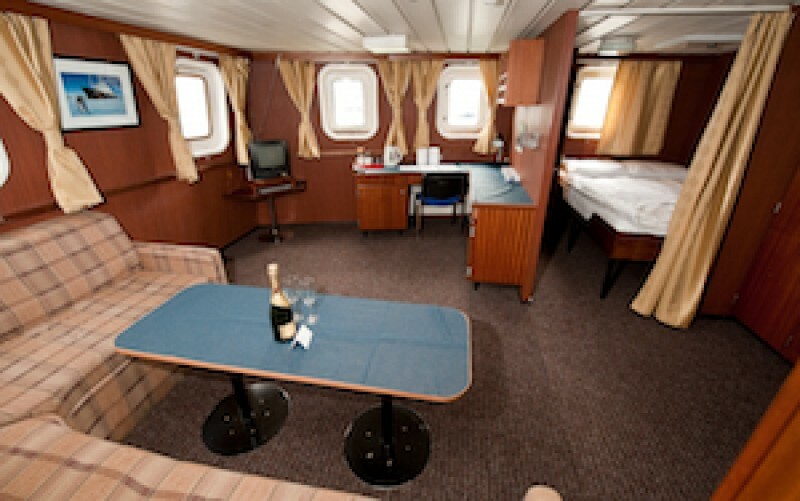 The Polar Pioneers class of vessel has a fine reputation for Arctic and Antarctic expedition cruises, due to its strength, manoeuvrability and small number of cabins. 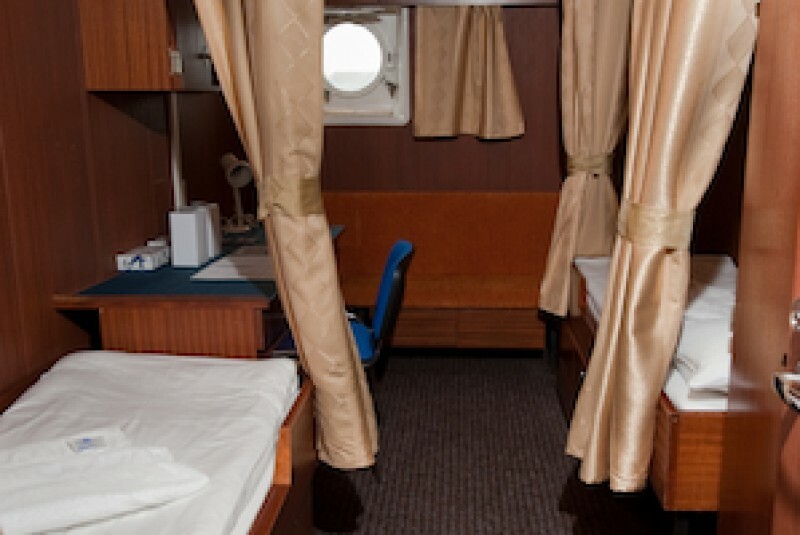 All cabins have outside portholes plus ample storage space. The Russian captain and crew are among the most experienced ice-navigators in the world and their enthusiasm is legendary. 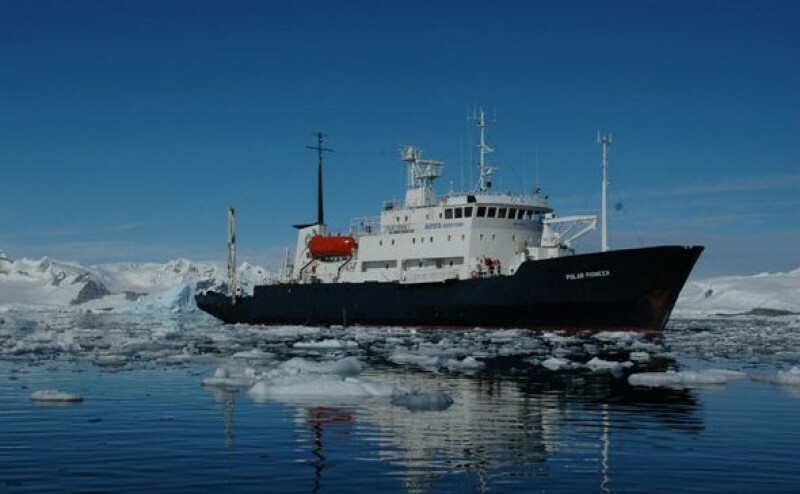 The Polar Pioneer is fitted as a comfortable expedition vessel and not a luxury vessel. Accommodation is simple and comfortable. 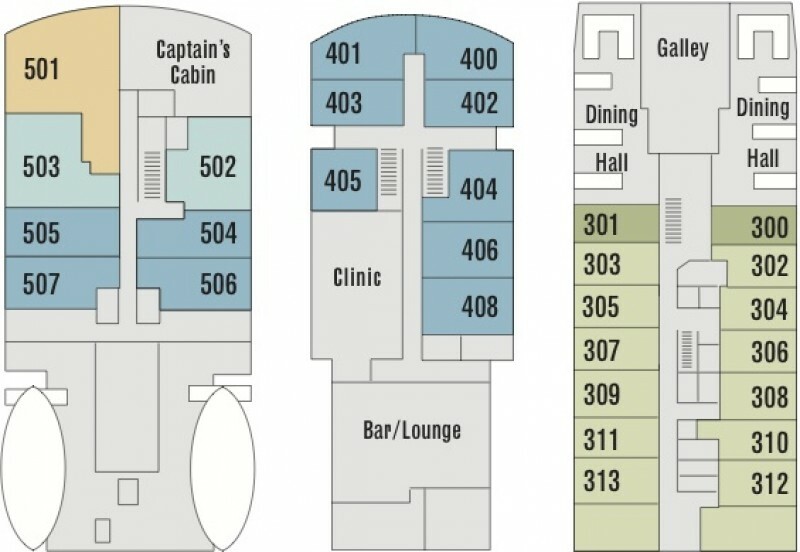 Wholesome and uncomplicated meals are served and the ship has a combined bar/lounge/library area where you can relax between your daily adventures. The bridge is always open to passengers to allow you experience what is involved in operating ships in these areas of the world as well as offering great views. The various decks are also ideal for viewing. The ship is equipped with a small fleet of inflatable Zodiacs with outboard motors for use when doing shore landings. 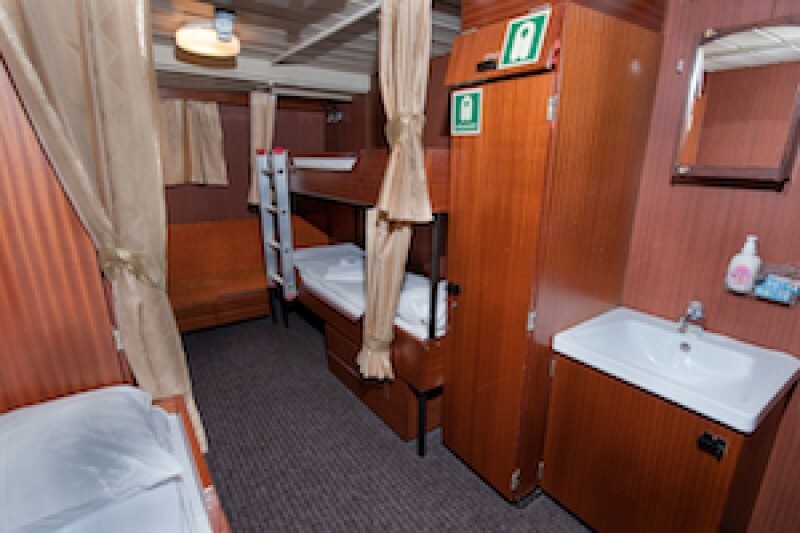 Two lower berths and one upper berth, a desk, washbasin, storage area, and a window. 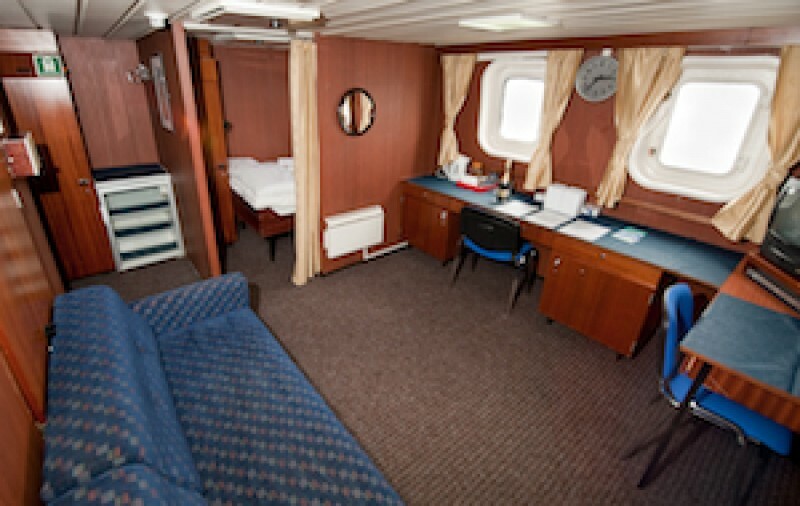 Showers and toilets are nearby and are shared with Main Deck cabins. Two lower bunks, storage space, a desk, windows, a private bathroom with a shower, sink and toilet and a window. 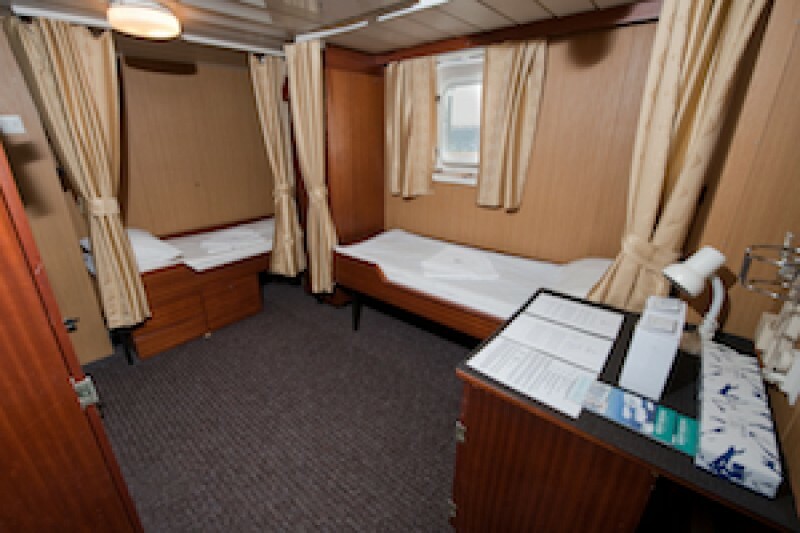 Separate small bedroom with a three-quarter bed, an additional berth is in the main room, along with a desk, window, video player and TV, and a private bathroom with shower, sink and toilet. A large lounge and a separate small bedroom with a double bed. A couch bed is in the main room, TV +VCR, refrigerator, large forward and side facing windows, and a private bathroom with shower, sink and toilet.